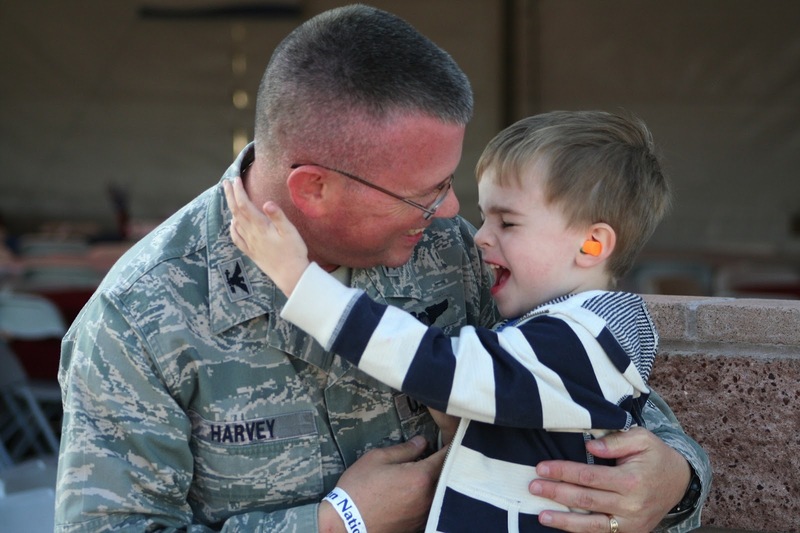 My son doesn’t like loud noises unless he’s making them, but his loudest noise is nothing compared to the noise made by the raw power of a military jet flying low-level. Jets he likes. Jets and any other kind of aircraft or spacecraft. He has the awesome unbound imagination of a child approaching five years old. Just look at his bedroom for proof. A few weekends ago my wife and I took Paul to his first air show: Aviation Nation, the huge annual air show hosted by Nellis AFB in Nevada. 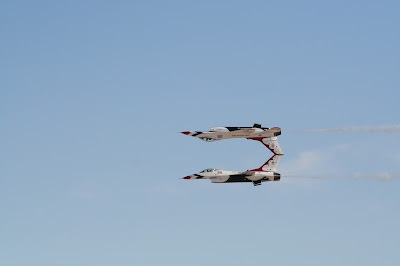 It’s also the final performance of the USAF Thunderbirds for the year and they fly a fantastic show and tribute to the public at their home field. As a result the the weekend is filled with wonderful static displays of historic and current military aircraft, interesting and exotic civilian aircraft, and an almost continuous stream military and civilian flying demonstrations. The day was wonderful, the weather was perfect, and my son’s eyes were wide as he took it all in. We’d been watching a number of flying demonstrations to include a military heritage flight where several generations of military aircraft fly in formation. 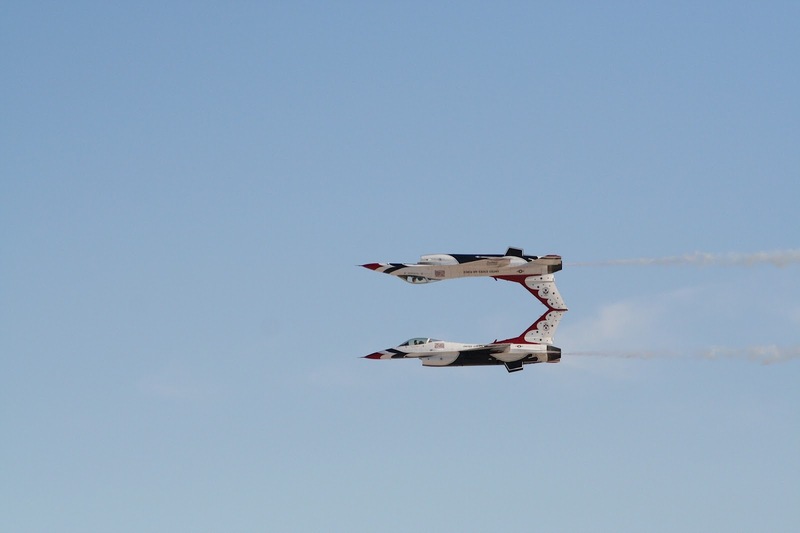 Then, as the day was drawing to a close, the US Air Force Thunderbirds took to the air. As the show unfolded, I was anticipating the “sneak attack.” While the audience focuses on a beautiful formation high and in front of the show, without warning one of the solo jets comes from behind and races past at low-level and near the speed of sound. Suddenly you see a jet where there wasn’t one just a second ago: an aircraft moving incredibly fast and somehow in silence. Then it happens: an explosion of sound so loud you feel it through your body the same time it registers in your ears. Your hands race to cover your ears and perhaps muffle the shocked scream trying to escape your mouth. Your entire body shakes as you literally feel the sound move through you. My son had ear plugs in and I was watching him as this happened. He jumped, visibly shook and rapidly moved to touch me as he covered his ears. Then as quick as it came, the jet was gone and we stood in stunned and relative silence. He looked up at me with uncertainty all over his face, wondering if everything was okay. I grinned at him and then it happened: with big eyes, a wild grin appeared on his face and he yelled, “Dad, that was AWESOME!” Then he gave me a huge, excited hug. The Thunderbirds finished their show, the day’s flying ended in a wonderful, patriotic way, and the show began to wind down. On the way out we bought Paul a die-cast model of a Thunderbird--he asked nicely and repeatedly. It’s been with him or near him since. Once again my son has allowed me to relive a piece of my own childhood, and see the world fresh once more through his four year old eyes. I’m pretty sure the first movie I ever saw was 2001: A Space Odyssey. It was 1968 and my parents took me along when they went to see it at the drive-in. I was only four, but I remember it like it was yesterday. They had a station wagon and set the back seat up for me like a little nest: several pillows and lots of blankets, and I was in my pajamas from the start. That way if I fell asleep I was good to go. 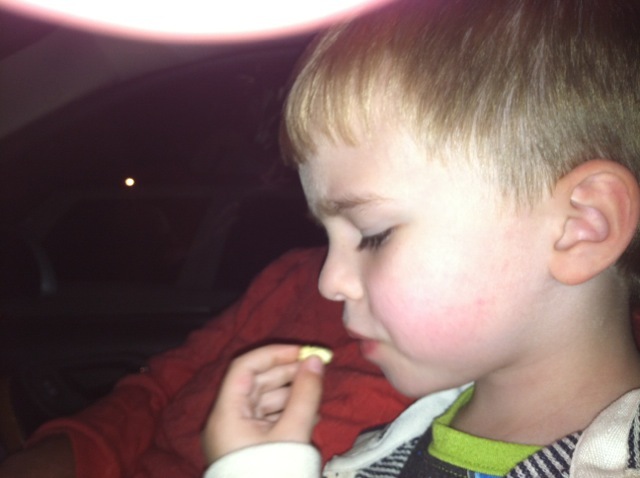 There was more popcorn than a little guy could eat and the biggest screen in the world. And the apes at the beginning scared me when they got angry. I didn’t understand the movie but it captured me, probably dropping one of the anchors into me that ultimately made me a science fiction fan. My son is the same age now as I was then, and last night we took him to his first drive-in. We saw this year’s release of Puss ‘n Boots. Admittedly it’s not as heady as Kubrick’s flick, but that’s OK. 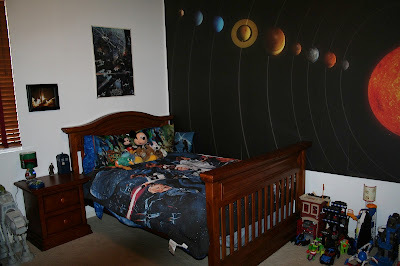 The station wagon of my youth became a Saturn Vue for Paul, but the nest of pillows and blankets was there right along with the large bucket of popcorn. And better than when I was a kid, the metal brick of a speaker hanging on the glass window was replaced by an FM broadcast we could listen to over the car’s stereo. My wife and I are both drive-in fans, having frequented them when we were dating dating in Colorado, then into the early years of our marriage. Until moving here to Las Vegas, the last time we lived anywhere with a drive-in was just outside of Sacramento, California. (Hooray for the western states, for preserving these amazing icons of our American culture!) When we found out there was a drive-in here, we knew we had to go, and had to expose our son to the experience. So off we went last night, and we had a blast! Paul gobbled popcorn and juice, and late in the movie we made one trip to the bathroom at which point he discovered the playground and had to take a few trips down the slide. 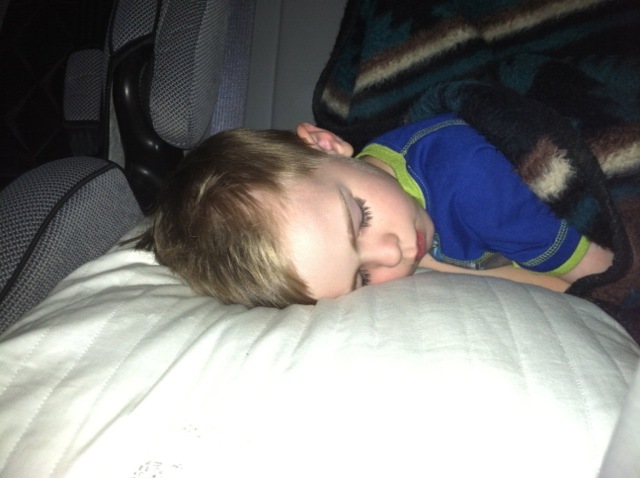 Then back to the car for more movie, intermission, and...sleep. He fell asleep shortly after the second feature (Real Steel) began and we bundled him up in his backseat nest where he slept for the rest of the show. I don’t know if he’ll remember this the same way I remember my first drive-in experience. The movie was certainly a part of it, but what I think made it stick the most was how new and cool the whole experience seemed. I’m thankful Steph and I had the chance to share this part of our own childhood, and one of the things we remain very fond of as adults, with our son. Who knows, maybe if we’re lucky, years from now we’ll hear him tell us he’s taking his date to the drive-in, and Steph and I will smile just a little bit bigger than usual.